So, we’re most definitely in the throes of summer around here. Back in May I was kind of dreading this season, thinking it would drag on forever, what with the preschool break, my husband’s deployment, and the long daylight hours. In fact, so far it’s flown by, and I’ve been very busy. There’s been lots of work–both revising (Where Poppies Bloom) and rewriting (Cross My Heart–you know you love my color-coding). I’m starting to see a light at the end of the tunnel in the revision department. The rewriting… not so much. 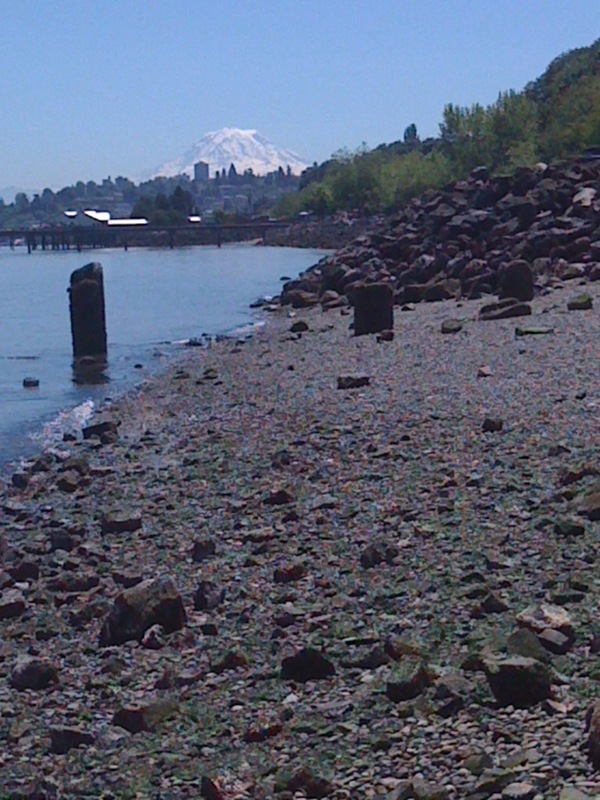 My kiddo and I have spent lots of time exploring our lovely Puget Sound “beaches.” We’ve found crabs and broken seashells and pennies and bits of jelly fish. Sadly, there’s been no swimming. 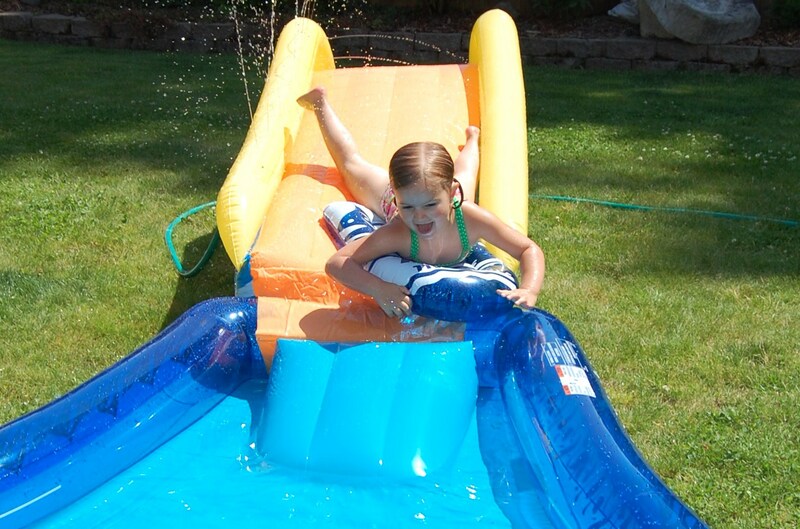 Don’t worry though–when it gets too hot, we risk our lives on backyard toys like this. In quieter times, I’m been prepping for a very Tangled 4th birthday bash. 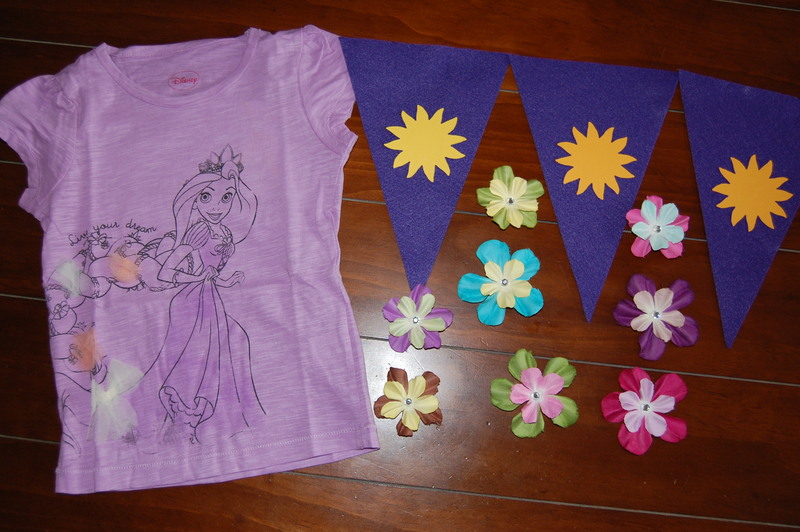 So far I’ve got the kingdom flags, hair flowers, invitations, and a costume fit for a Princess (there’s a tutu too!). If only I could wrap my head around food, activities, balloons and party favors. I’m also trying to put a dent in this insanity. (Don’t judge. You know your To-Read pile is out of control.) It’s hard to make the piles shrink when I just keep buying books, but hey, I suppose as far as vices go, this one isn’t too terrible. Any recommendations on what I should read next? There’s also been running, cleaning, library trips, play dates, baking (Death by Triple Chocolate Brownies–yum! ), yard work, a local Peter Pan play, pedicures, and time with family… whew! How’s your summer shaping up? Any fun activities you want to tell me about? sounds like a lovely time! We don’t have a beach super close, but we’ve been enjoying a lot of backyard mini-pool time. We’ve also been able to do “dinner with friends and kids in the backyard” more, because everyone seems more relaxed with schedules right now. That’s my favorite thing about summer. 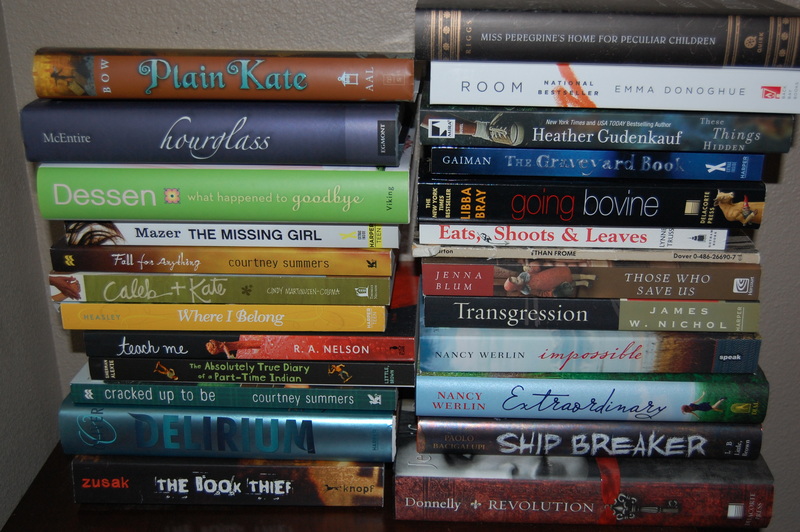 I love your TBR pile/mound. They should always be so full, right? Have a fun week away! Your summer sounds nearly identical to mine. And the color-coded index cards! Love them. Have fun baking in the sun! Thanks, Jessi! I just wish I was close to an ACTUAL beach, like you! It really doesn’t feel like summer where I am in the UK; it is currently grey and raining, as it has been for a few weeks with occasional vaguely sunny days. Kind of limits my summer fun, so I’m mostly reading and writing accidental poetry in between trying to find the next project. It ain’t bad. We’ve had our fair share of gray and rainy too… no fun! It does make it easier to work though, because who wants to be stuck inside on a laptop when it’s beautiful outside? Well, you saw my TBR pile last week, so you know I am right there with you. No judgment here. Good luck with your revising and rewriting! Thanks, Jess! I just read your post about goal setting and deadlines and I’m right there with you. It seems like there’s always 50 things to do that MUST come before writing/revising/editing. OMG I adore your colour-coding. Such nice complementary shades! 😛 And yo, you do NOT look old. If you looked any younger, people’d be afraid you were her eldest sister or something. Ha! Her eldest sister! You’re trying to flatter me (and it’s working!). I’m looking forward to getting to work on my To-Read pile. There are some gems in those stacks! It sounds like your summer is very lovely! The first part of mine was spent mostly studying, but I am hoping the second half will be better and full of writing. Here’s to lots of writing in your near-future! ohmygosh! Your daughter is soooo cute! I loved that age. Mine is twelve – and she’s still wonderfully adorable (somedays), but *sniff* she’s growing up. We had a Tangled party this year, too, for my daughter’s 5th birthday. So fun! My husband made a game of rope knots and timed the kids as they untangled all the knots. That’s a cute idea! Tangled is such a fun theme, though it’s hard to find decorations and balloons and stuff… I’ve had to order a lot of stuff online. I think it’s all going to turn out very cute, though! It’s winter here, and HOW. I’m wrapped up in too many layers to count most days, and I’m typing this from a beanbag I’ve dragged over in front of the heater! Oh, for a little of your warmth! 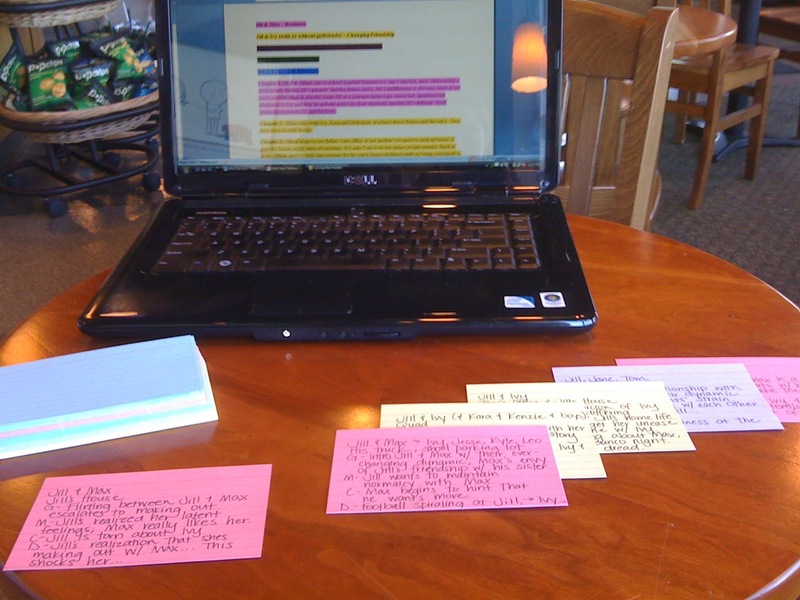 I’m also in the midst of colour-coded writing, though mine’s a crazy first draft. I think the colour’s helping. Maybe? It’s pretty, at least! 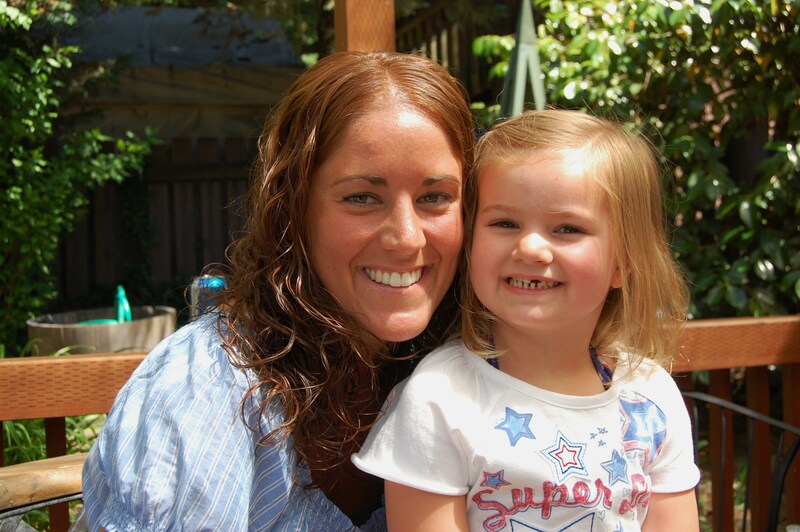 Thanks for your sweet words about my kiddo… I think she’s pretty darn cute too! Wow, I’m impressed with your color coding system! You have such very neat handwriting, too. Have fun in Phoenix!